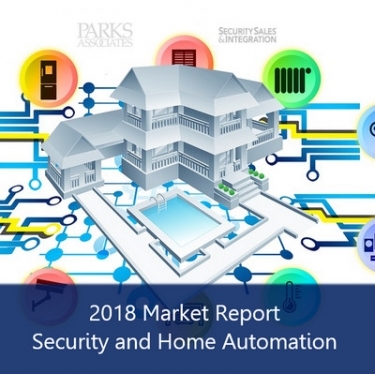 Parks Associates, SS&I release 2018 report on the professional security and smart-home installation channels. Security dealers and high-volume smart-home pros are starting to feel the sting of mass-market product and service providers. 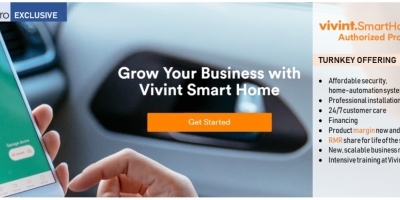 For the first few years, traditional installation companies welcomed the big consumer IoT brands and all the visibility they would bring to the home-technology channel. Even a swell of high-quality DIY products entering the marketplace would be good for everyone, many in the industry agreed. 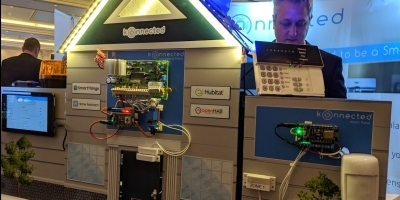 The exposure would raise awareness for an entire ecosystem of smart-home devices that could be installed, integrated and monitored by a local pro. The positive DIY sentiment may be shifting, however. 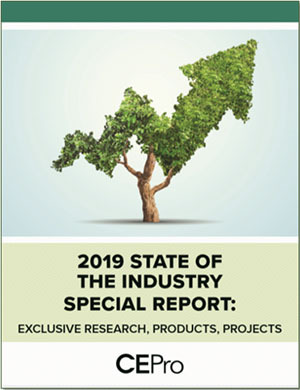 More than 60% of installing dealers now report that DIY systems are biting into demand for their services, according to the fifth annual Residential Security Market Report (2018) from the research firm Parks Associates and CE Pro sister publication Security Sales & Integration. The survey reflects business conditions for the 2017 calendar year. Despite the encroachment by DIY, though, residential security dealers are still doing well, especially given all the doomsday predictions by “pundits” and the popular press. In 2017, revenues were up an average 7.72% for security dealers – a respectable performance, even if the growth rate fell compared to 2015 (9.61%) and 2016 (8.7%), when businesses still enjoyed pent-up demand from the Great Recession. Despite the encroachment by DIY,residential security dealers are still doing well, especially given all the doomsday predictions by “pundits” and the popular press. Some other key findings in the SSI/Parks Report are discussed below, complemented by charts in the Security Market gallery. Methodology and caveats: The 2018 Residential Security Market Report was based on surveys of 170 qualified residential security dealers, not all of whom answered every question. While margin of error may be higher for some of the deeper questions, the results nevertheless should provide some directional guidance, and should be evaluated as such. Between 2012 and 2017, the percentage of small dealers (revenues less than $1 million) nearly doubled from 29% to 57%. Some may interpret this shift negatively, but that’s not necessarily the case. The recession had a drastic impact on single-family home starts, which affected all industries, like security, that sell into new construction. At the same time, we saw a huge number of movers who were forced out of their homes or simply sought more affordable housing, abandoning monitored security systems and forsaking the service in their new abodes. Large, well-financed providers were better equipped to weather the storm, while the smaller dealers shrank or closed shop. Today, the rise in small dealerships reflects a return to normalcy. It may also suggest the entry of higher-end, lower-volume smart-home integrators to the security channel. At the same time, the changing mix of smaller vs. larger security companies affects the average number of installs across the entire industry – more small firms in the mix drags down the average number of customers per dealer. For 2017, the average number of installs per dealer was 22 per month, compared to 17 per month in 2016. Furthermore, SSI/Parks reports a median number of eight installs per month, meaning half the dealers surveyed are especially small … or especially high-end/low-volume providers. Check out more statistics from the 2018 Residential Security Market Report, featuring security and smart-home data for the 2017 calendar year. VISIT THE GALLERY. About half of all residential security installations are greenfield, i.e., brand new for any given property. Most of these jobs include professional monitoring, but a large chunk of new owners never subscribe to security monitoring services. That could be because homebuilders are including alarm systems for “free” in new construction, but their buyers don’t necessarily want to pay for ongoing service. More than one-third of these homebuyers simply do not want another monthly fee and will use the security system for local alarms only. On another note, new starts account for 20% to 25% of all monitored accounts, which points to one very big “miss” by security dealers: existing properties, which number 100 times more than annual new builds. Professional monitoring is offered by 96% of surveyed dealers. Only 20% report installing DIY systems, and when they do it is because they will earn money on accompanying professional monitoring. 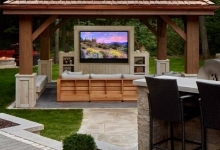 A low 14% report any willingness to install a DIY system without professional monitoring. The majority of dealers have no intention of installing DIY systems without the benefit of RMR fees. Parks Associates’ 2017 3Q survey of 10,000 broadband households showed $46.20 as the average monitoring fee for professionally monitored security households. The Residential Market Report shows $46.40, identical for all intents and purposes. Households with smart home devices pay 10%-20% more per month, while those with basic systems pay less per month by that same percentage. (see Figure 1) A significant change the past five years is the rapid emergence of interactivity for the security system itself. In 2017, 75% of responding dealers reported offering systems that can be accessed and controlled via smartphone, tablet or computer. This capability is now table stakes; to not at least offer interactivity is a competitive disadvantage. Interactivity was close to unknown 10 years ago. When interactivity did occur, it was for custom security systems only. And the capability today is not only for installed systems; it is available in most DIY systems, even low-cost systems. In the pro channel, Alarm.com (32%) remains the interactivity vendor most popular with security dealers. 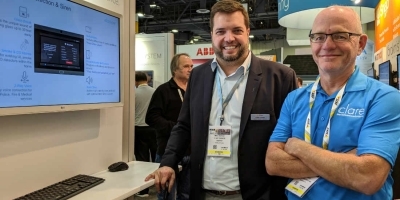 Honeywell Total Connect (26%) seems to show a slight decline, but Parks Associates warns the result could be attributed to a high margin of error from a low sample size. 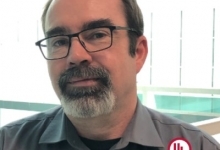 Security dealers report that just less than half of their security installations include interactivity only as it relates to security features like arming, disarming and status reports. Nearly one-third of installs include integration with other IoT devices or services in addition to security interactivity. Given the high cost of acquiring a new customer, it's unfortunate how little is done by dealers to court existing clients. (see Figure 2) The most common smart-home attachment is an IP camera, landing in about one-third of alarm jobs, followed by smart lighting and smart door locks. While none of these devices have passed the 50% mark in attachment rates, they will during the next five years. Video doorbells didn't make the cut in 2017 due to its relative newness to the alarm channel, but Parks Associates' other research shows a rapid climb in consumer adoption and interest in the category. Owners of video doorbells state a strong propensity to recommend the product to friends and family. Personal assistants like Amazon Alexa and Google Assistant are finding favor among security dealers, with 26% of respondents indicating they offer voice control to their alarm customers. (see Figure 3) As to why security dealers offer smart-home attachments, the top two reasons are pretty obvious: 74% of dealers say customers ask for them; 58% do it for the extra revenue. The third reason is this: 49% of dealers say they provide smart-home services as a defense or response to their competitors. 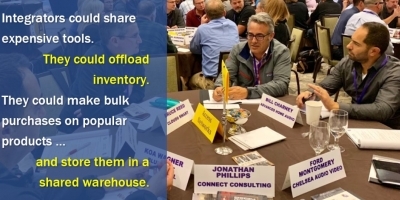 Given that attrition runs anywhere from 12% to 20% depending on dealer type and size, the least expensive route to a customer is to keep the ones already acquired. More than a third of respondents (34%) spend $200-$399 to land a new account, while 27% shell out $100-$199 and 24% absorb a hit of $400 or more. The next efficient way to obtain new customers is through referrals, which may sound obvious but is forgotten by many. Unsurprisingly, security dealers with acquisition costs of less than $400 are also dealers with high rates of referrals. Given the high cost of acquiring a new customer, it's unfortunate how little is done by dealers to court existing clients. In the Residential Market Report, 44% of respondents say they communicate with clients no more than once per year -- probably a reflection of the historical practice of "letting sleeping dogs lie," suggests Parks Associates analysts. 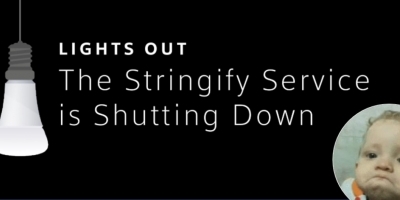 The practice might not hold up well against such agitators as Ring, Nest and Samsung SmartThings. 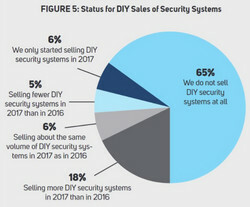 (see Figure 4) Just more than 60% of installing dealers report that DIY systems bite into their demand. The market for sophisticated DIY is emerging; better and more will enter the marketplace. 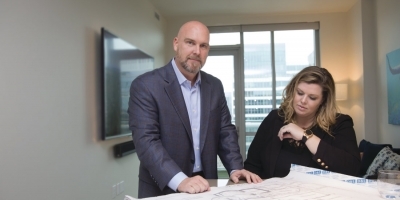 Installing dealers have a few years to adjust their strategies, but not forever. Fighting fire with fire, in this case, will require ever more attention to on-time and good experiences with installers. It is not all about price even through price matters. Learning ways to help householders be and feel safer through communications will become important. Consider police department efforts to communicate with a broad spectrum of citizens through weekly emails that detail disturbances or simply offer safety reminders. These work to improve the perception of a caring police department. Security dealers can do some of this and add information about new devices, new strategies for safety and more. It takes time, consistency and will. (see Figure 5) Among the approximately one-third of installing dealers that also sell DIY systems, half report selling more of those in 2017 than in 2016. It is certainly not all doom and gloom, however. The expansion of security to include increasingly sophisticated smart home options plays to installers’ strengths. Even many of today’s qualified security installers do not understand or are just learning how to install and maintain reliable networks. Moreover, nothing yet has come close to the success of in-person sales for these devices. Most consumers do not understand all of their functions; most do not want to be their own IT department; and most need help learning how to use and maintain their devices. This is true even while they find the benefits of solid value. 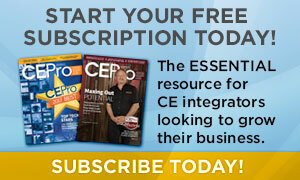 Installers have a path to expansion staring them in the face. The inability to find qualified personnel ranked first (31%) in 2017 as a major challenge. This is exacerbated by low unemployment, a good news fact in most other measures. Investing more in training, including networks, than in the past is essential. Even many of today’s qualified security installers do not understand or are just learning how to install and maintain reliable networks. Another top challenge is the expanding availability of components via retail, either in-store or online (23%). The cross availability pressures margins and intensifies the need to provide a differentiating value of service, knowledge, easy experiences and the like. Consumer hesitancy to spend money ranks as the third (22%) most selected but has a lower percentage and ranking than in recent prior years. Deceptive sales practices from competitors followed with 19%, and the availability of self-installed systems came in fifth (17%) and has jumped the past two years. Be sure to check out our slideshow for figures and additional information! View Scott Goldfine's complete profile. I sold my alarm company last year primarily over concerns about the changing marketplace, specifically the threats posed by wireless, app-based DIY products. My accounts were 90% residential. The company had been in business since 1973. I took over in 1982. I weathered a lot of storms—small recessions and large recessions, ADT’s many disruptive marketing practices: mass telemarketing in the late 80s, $999 systems, then the clever 911 campaign, then $399 and $99 and “free,” other mass marketers, small local companies charging $15 for monitoring, Simplisafe billboards, television and radio advertising, etc. All of this impacted my business but when my existing customers started cancelling their accounts and telling me they were “satisfied” with a un-monitored collection of products from Nest, Ring and Blink, I decided that residential security was going through a major transformation. Sure, we spoke to every customer we could, hoping it wasn’t too late. We told them that monitoring pays for itself through the insurance discount, that the Police and Fire authorities might not respond to a call for a DIY system, that it would be dangerous for them to respond themselves. Many customers responded favorably and we didn’t lose many customers but I felt that the writing was on the wall, except for “high-end” customers who want the best and/or whose insurers are requiring a professional installed and monitored system. Commercial security seems to be safe from this trend and I had felt that I had a choice to make: sell all the accounts or change the focus to commercial and accept the accelerated residential attrition. Your article captures the Parks comment about customer communication well. The last newsletter we sent to our customer base before making the decision to sell had only one subject: the proliferation of cheap and DIY alarms and their pitfalls. A lot of customers emailed me saying the letter changed their mind about dumping us and monitoring. Pure resi dealers need to be pro-active: get the message to their clients, put it on their website and in their advertising. If they can, they should shift their focus to commercial. My comments have been about alarm companies. CE or CI companies that install alarms tend to be in the high-end market and will not experience as much attrition, especially if they’ve bundled the alarm monitoring into a package that also includes a service contract and network/device monitoring. However, these companies need to get out the same message because homeowners will eventually reach a saturation point on monthly charges for their many services and apps and start questioning every bill.